In recent years individual protective packaging has established itself as a supplement and at times even an alternative to the conventional stock safeguarding measures. 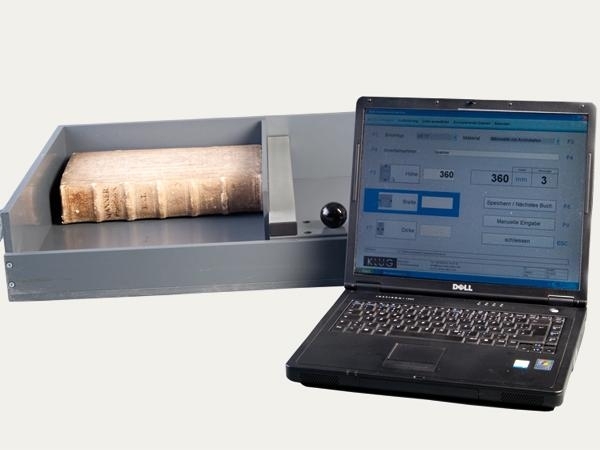 Exact measurements of an object, which are required to make the ideal most suitable protective packaging, can be easily determined using KLUG-CONSERVATION’s book measuring device, specifically developed for this purpose. 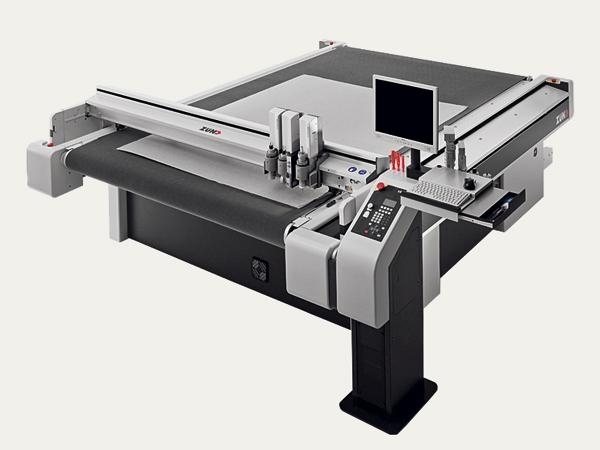 Subsequently, using these measurements the protective packaging is fabricated on a large size plotter - it can be one single piece or a small series and also in large-size formats. Ageing resistant paper material, which is in accordance with the EN ISO 9706 standard, builds the basis for long-term protection. Almost all the archival storage products produced by KLUG-CONSERVATION are completely foldable constructions, thus avoiding the use of glues, staples, ears and blanks. In rare cases, when the use of glue is necessary, only special glues suitable for long-term preservation, e.g. starch or protein are used. In a very short span of time a suitable packaging for a valuable item can be fabricated. Furthermore, all our archival packaging is manufactured with an excellent price-performance ratio in comparison to the traditional boxes made by bookbinders. With every packaging solution, the customer receives computer-animated folding instructions. The protective packaging can be individually inscribed either manually or by using our precision cutter. All individual archival products can be marked with ageing resistant, gummed signature labels. Optionally all items can be marked directly on our boxmaking machine using ageing resistant ink. KLUG's flexible production process enables the manufacture of not only custom-made individual orders, but also small series and large quantity orders. You can buy and/or lease the measuring device and the complete boxing system. Object dimensions can be recorded rationally and without causing any damage using an electromechanical book measuring device. Developed to record height, width, thickness and signature – allows measurement of approx. 100 objects per hour. A complete production system to make individual folders, boxes, cases and other protective packaging, particularly for cultural artefacts.